Corporations today know employees thrive in the right environment. Offering workplace flexibility helps recruit/retain talent, improve the vital work/life balance, and enhance productivity. 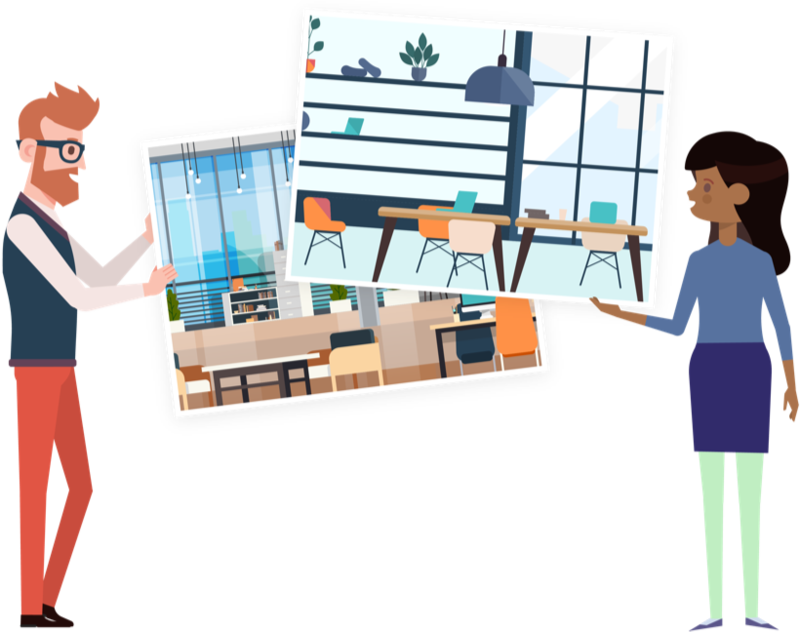 Upflex digitizes their flexibility policy, allowing their employees to work from our network of coworking partners. 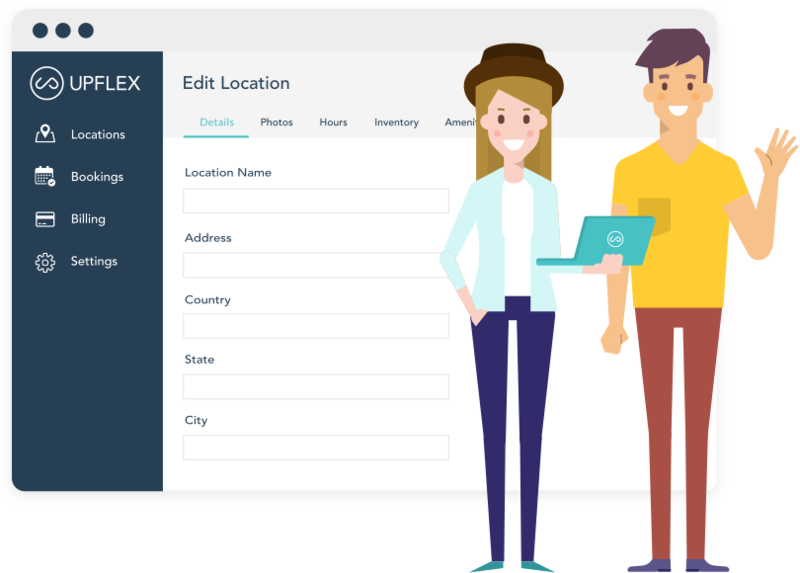 Listing your space on Upflex is completely free, with no membership fees, setup costs, or commissions. Hourly bookings, half-day, or full day — it’s up to you. Each successful booking generates money that’s all yours, even for no-shows or late cancellations. You spend a lot on marketing your space in order to create brand awareness and fill desks. Whether you buy ads or are giving out free day passes to your community members to share with their network, it impacts your bottom line. Upflex increases your daily occupancy rate, allowing you to reduce your marketing budget. What are the requirements to list my coworking space? 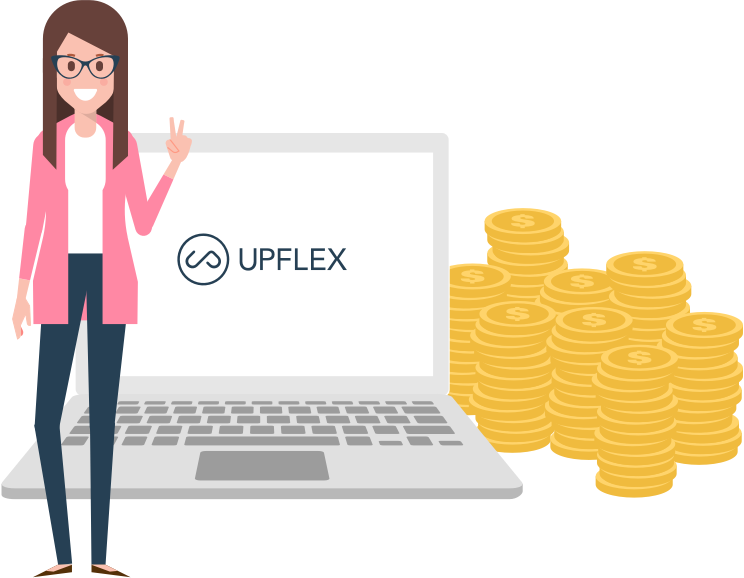 To be listed on Upflex, your workspace must have a receptionist to welcome Upflex’s users. We also ask you to list at least 3 flexdesks for Upflex clients on our app. How much does it cost to list my coworking space? It’s free to list your coworking space. Upflex does not take commission: we pay a competitive rate based on your region. Once your workspace is live on our platform, you will receive an email to create an account with our payment system. Who will book my space? Our clients are Enterprise companies whose employees use Upflex to book workspaces on demand. Our platform private is not open to everyone. How will I know if I have a booking? You and anyone else who needs to be notified will receive an email each time a booking is made. Create new revenue streams: increase leads, increase sales. Reduce acquisition costs: marketing, SEO, and free day passes. Workville is excited about the launch of Upflex, a global network of upscale workspaces. It’s a brilliant solution for the growing demands of the workspace market. Our mission here is to provide a friendly and productive workspace in NYC — and we know that when our members travel for business they miss the Workville experience. Upflex platform provides our members the opportunity to work from a vetted portfolio of global coworking spaces. more questions before moving forward?